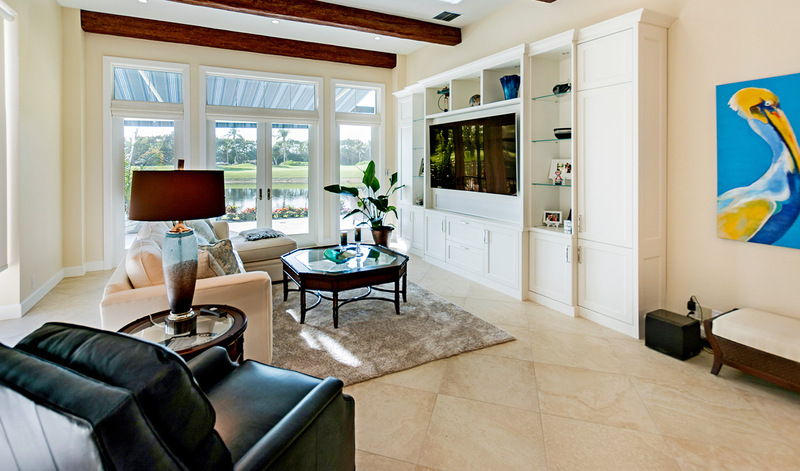 Because Sonrise has been building new homes in Naples Florida and the surrounding area since 1991, we understand the expectations our clients have for exceptional attention to detail and the ease of doing business. With that understanding, we will create the home of your dreams while making it an experience that is both exciting and rewarding. You can either come to us with a rough idea of your vision, allowing us to work with our trusted network of architects (called “design and build”), or we can become engaged in the process after your home has already been designed. Whichever way we work, you can be assured that we will strive to use the best materials, latest technologies, and highly-skilled craftsmanship to create enduring quality and peace of mind. Throughout construction, we enforce strict guidelines that keep your property secure, safe, and clean. Because Sonrise has a policy of “open book” pricing along with a policy of wide-open communication, the experience of building your new home will be free of hidden surprises from start to finish – and beyond. If you are seeking one of the best home builders in Naples Florida, please contact us to learn more about our capabilities.